I have a blog crush on Crystalin from ITCWC, and I have her to blame thank for totally inspiring me to purchase a baseball tee. 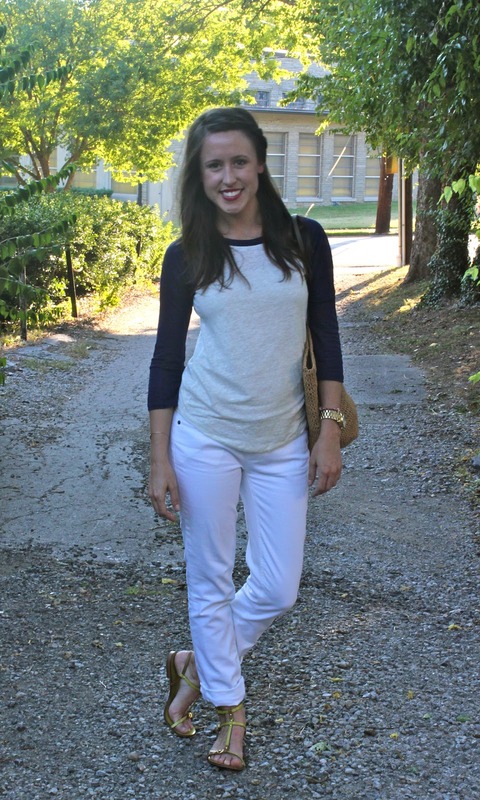 One day I was sitting at work, and the next thing I realized (while reading her blog) was that my life wouldn't be complete without a baseball tee... as if my life was a total sham before said baseball tee came into my life! 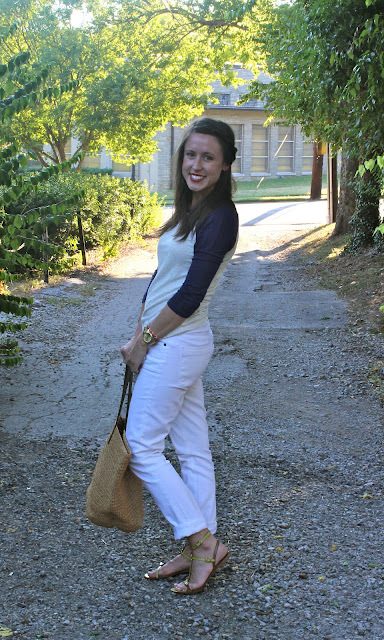 I finally had a chance to take my baseball tee out for a spin this weekend while getting some errands accomplished on my bicycle... basic white jeans and my favorite gladiator sandals were a nice initiation for my baseball tee... but I have big plans for this baby all. summer. long. 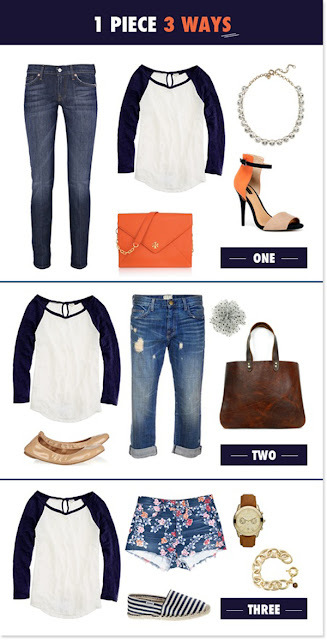 Any items in your closet that you expect to go the distance this summer? P.S. Have you signed up to be a part of the Oasap fashion hunter program? Have you also entered their Super Giveaway? Check out this post for more details and the link to enter! I used to wear baseball tees all the time in high school and college - definitely didn't look stylish though as I probably wore them with soccer shorts. Too bad I don't have any cute ones now. this outfit is adorable! hope you had a great weekend jessica! Shes adorable! I love discovering new blogs. You rock the baseball tee really well! I think I need one too! Cute outfit, gotta love a good baseball tee, so laid back. You look fantastic in your baseball tee!!! I love being inspired by other blogs. 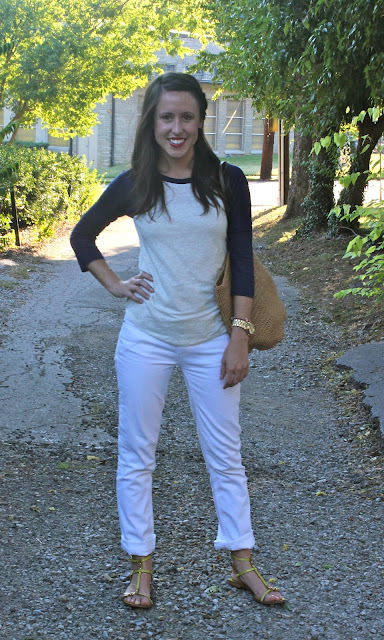 Everyone needs a good baseball tee in their closet! In fact, I should pull mine out again! I think I need a baseball tee now too! With a baseball cap! Love this outfit girl. I know right... the Crystalin is convincing! I agree with this! I love my baseball shirt! AH! more inspiring me to wear it more. i have been very inspired my blogs lately but all weekend wear!